First Listen: 'REWORK_Philip Glass Remixed' Celebrate the composer's 75th birthday with 12 inventive remixes of his malleable work. Beck, Dan Deacon, Tyondai Braxton, Johann Johannsson, Pantha Du Prince and others reinterpret Glass' music, teasing out beauty and rhythm along the way. REWORK_Philip Glass Remixed comes out Oct. 23. 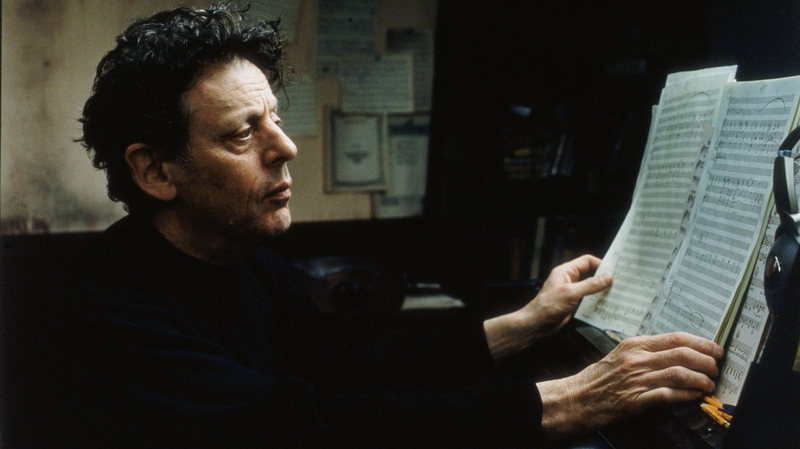 It makes sense that Philip Glass' 75th-birthday festivities would stretch out as long as they have, his work subjected to celebratory tributes, re-examinations and performances more than eight months after the big day back in January. For as often as Glass is pigeonholed as a minimalist, his real trademark is his work's malleability and sheer volume: Glass writes operas, film scores, theater pieces and everything in between, stretched out over the course of untold archived hours. So, while many tribute-album projects draw from a limited and fairly predictable archive of greatest hits, an album paying tribute to Glass — in this case re-envisioning his work as a series of 12 remixes in 80-plus minutes — could head in virtually any direction imaginable. REWORK_Philip Glass Remixed usually meets somewhere in the middle between calming ambient pieces and kinetic electronic contraptions, with a frequent emphasis on pastiche that suits both its subject and its highest-profile guest participants. Beck, for example, stitches together more than 20 Glass works in as many minutes, living up to his stated desire to present a distillation of the composer's entire career as a continuum; the result moves through many phases, with frequently gorgeous results. Dan Deacon, who knows his way around compositions that swirl and clatter hypnotically, constructs "Alight Spiral Snip" around repetitive dissonance before letting the piece give way to smeared-out beauty. Tyondai Braxton gives "Rubric" a toy-box peppiness redolent of his own compositions, while Icelandic composer Johann Johannsson — who knows his way around works both orchestral and experimental — crafts what sounds like an especially inventive bit of portentous film score in "Protest." It's a testament to Glass' distinctive genius that these 12 varied approaches — and remix artists as diverse as Pantha Du Prince, Cornelius and Efterklang's Peter Broderick — hang together collectively as well as they do. And, of course, REWORK doesn't stop there: It's getting its own interactive app — designed by Scott Snibbe Studio, which worked on Bjork's Biophilia project — that gives these songs a visual stamp and lets users emulate Glass themselves. Which is, of course, an appropriate way to give these second-generation pieces yet more lives beyond what Glass himself envisioned. Why should the music stop breathing and evolving once these folks are done with it?